This is the view from the gate which gives access to the open fell. It's worth coming the proper way just for this scene of Southerndale. 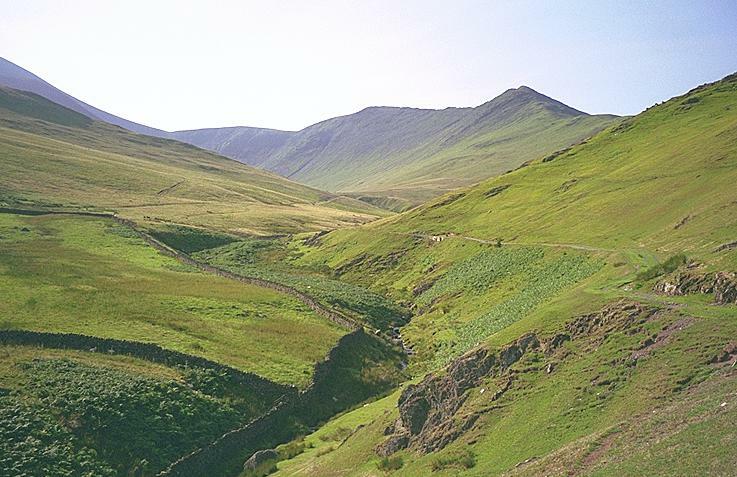 On the horizon, from the left, are: the slopes of Skiddaw, Carl Side, Long Side, Ullock Pike and the slopes of The Edge. Smaller version of this picture.